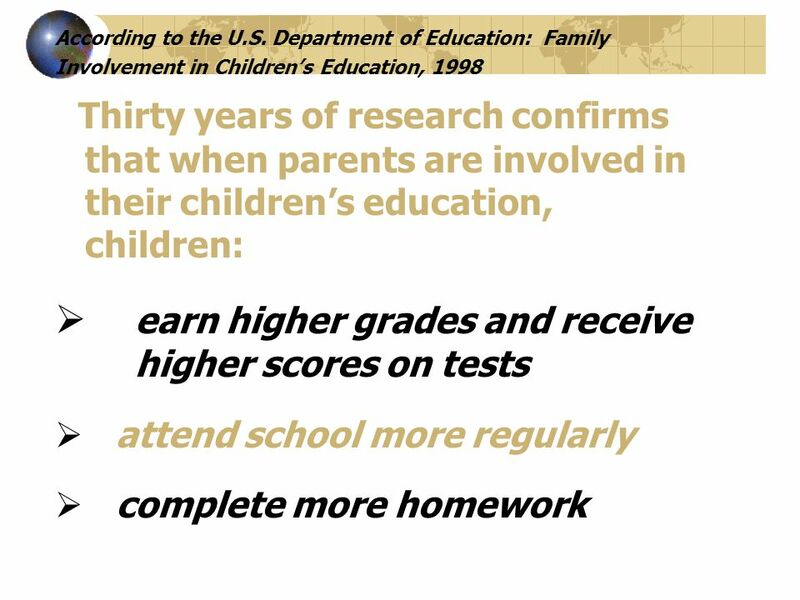 5 When Parents Are Involved, Children:  demonstrate more positive attitudes and behaviors  graduate from high school at higher rates  and are more likely to enroll in higher education than students with less involved families. 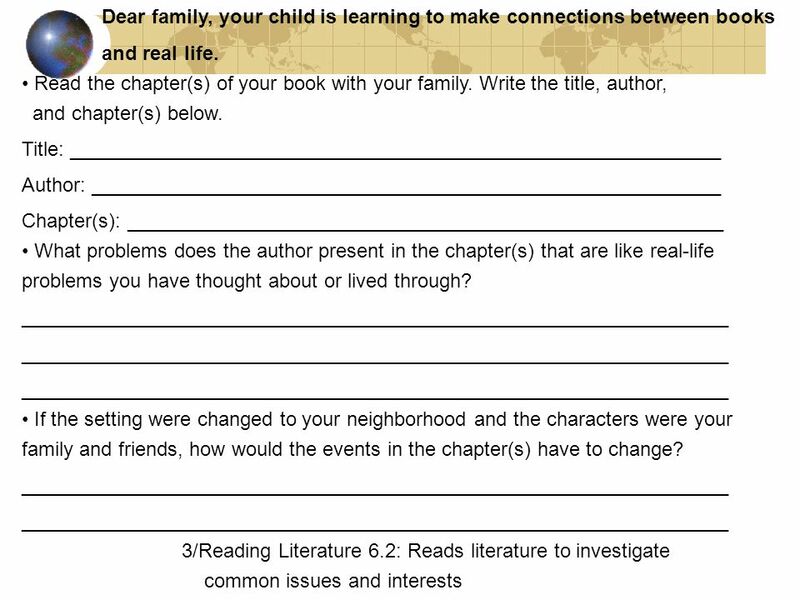 6 Effective Parent Engagement Occurs When Parents Support the Education of Their Children Both at Home and at School How can parents support at home what their sons and daughters are learning in school? 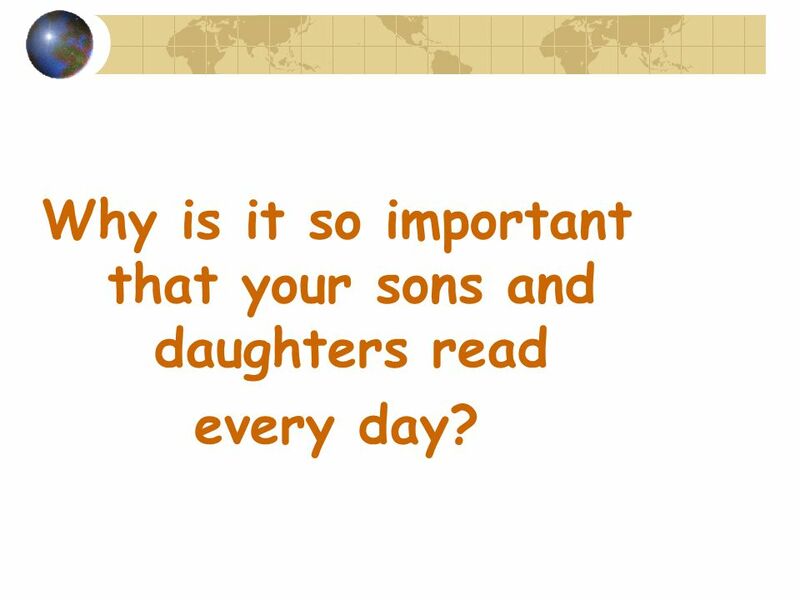 7 Why is it so important that your sons and daughters read every day? 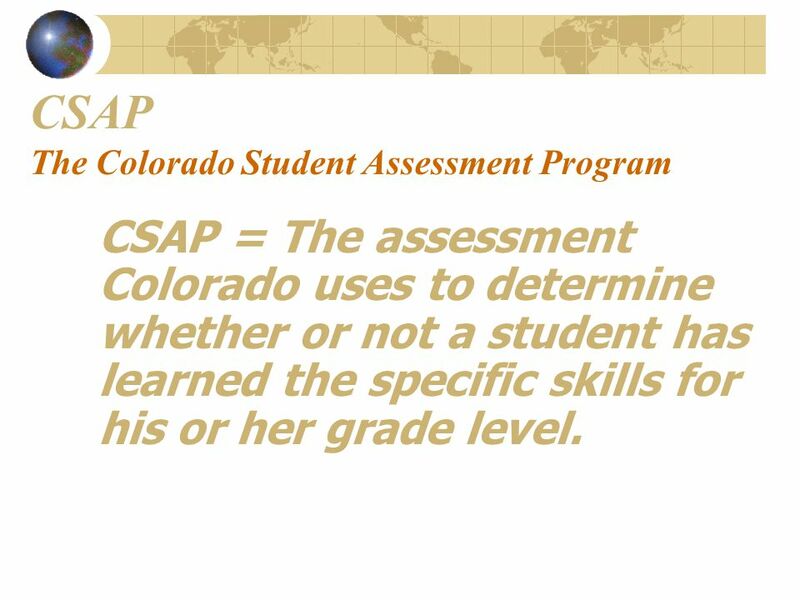 12 CSAP The Colorado Student Assessment Program CSAP = The assessment Colorado uses to determine whether or not a student has learned the specific skills for his or her grade level. 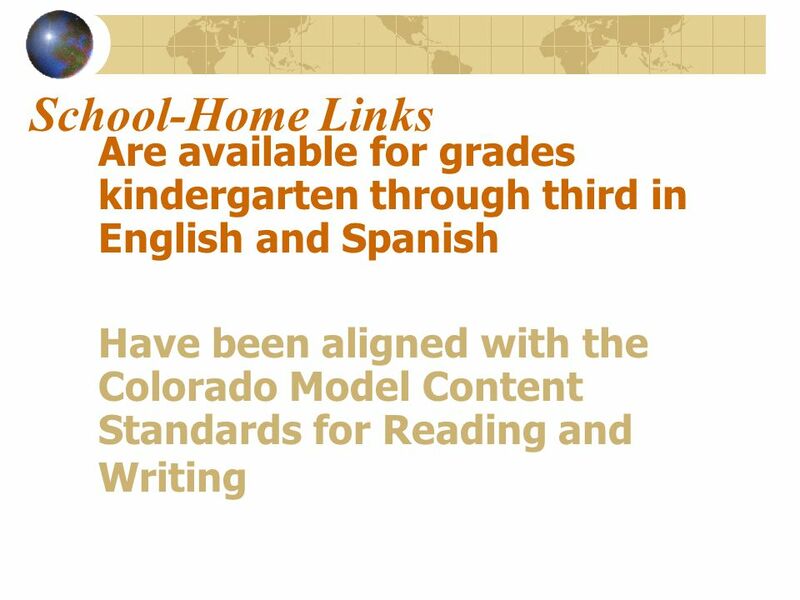 14 School-Home Links Provide 100 reading activities per grade for children in kindergarten through third grade. 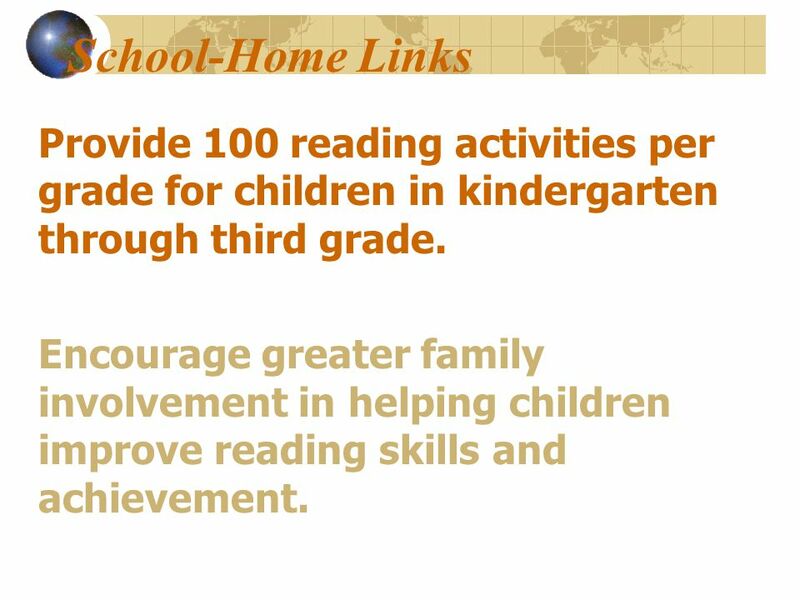 Encourage greater family involvement in helping children improve reading skills and achievement. 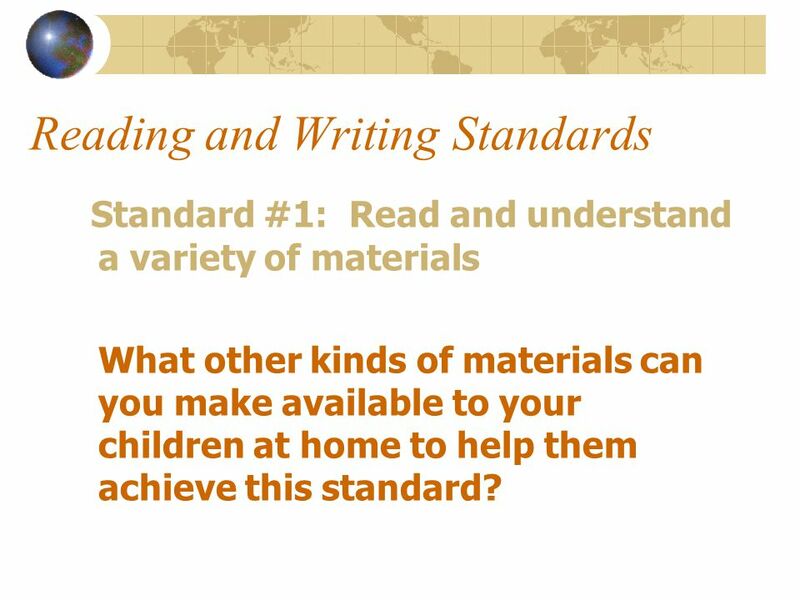 18 Reading and Writing Standards Standard #1: Read and understand a variety of materials What other kinds of materials can you make available to your children at home to help them achieve this standard? 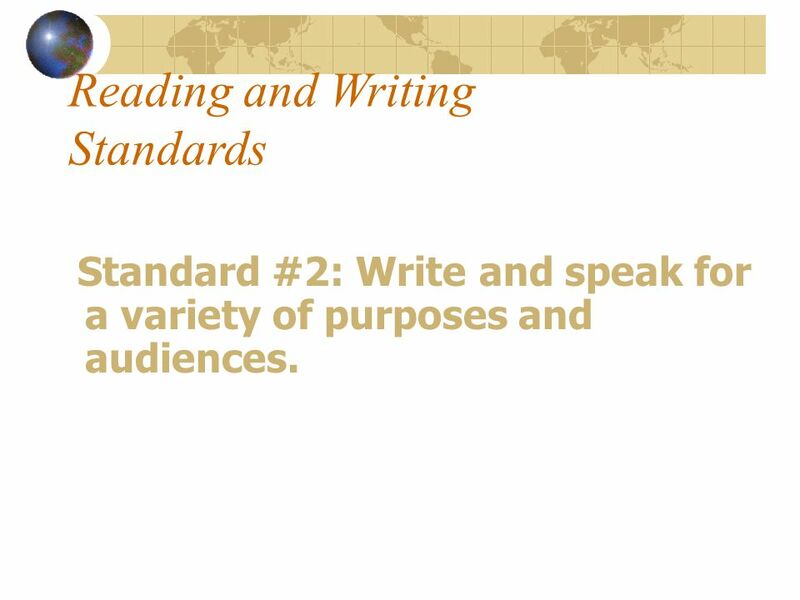 20 Reading and Writing Standards Standard #2: Write and speak for a variety of purposes and audiences. 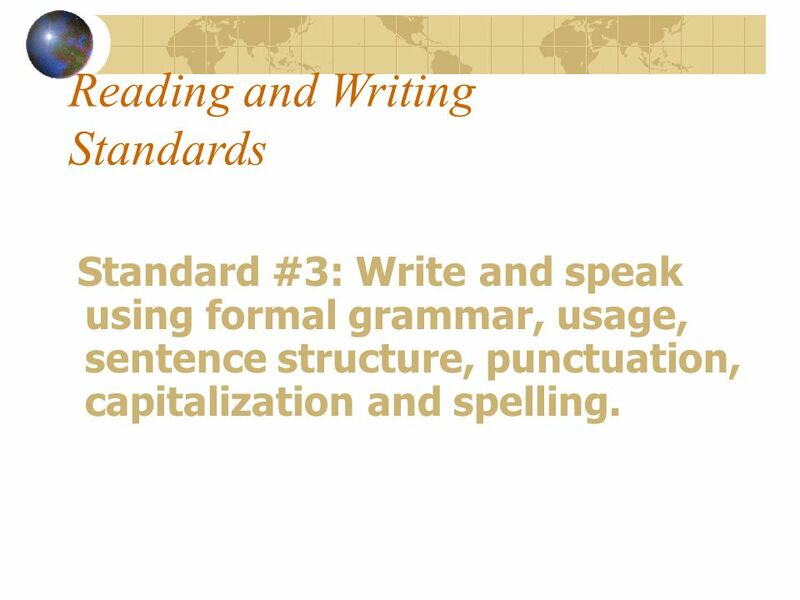 22 Reading and Writing Standards Standard #3: Write and speak using formal grammar, usage, sentence structure, punctuation, capitalization and spelling. 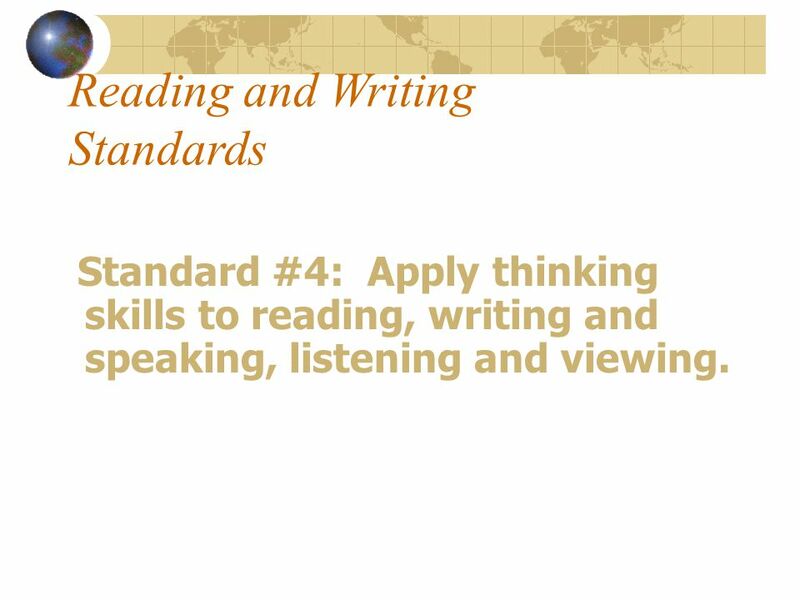 23 Reading and Writing Standards Standard #4: Apply thinking skills to reading, writing and speaking, listening and viewing. 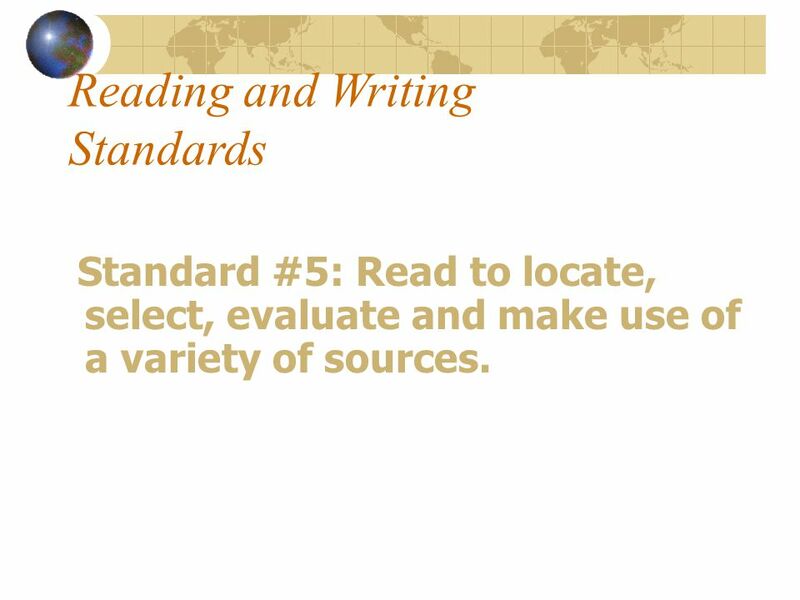 25 Reading and Writing Standards Standard #5: Read to locate, select, evaluate and make use of a variety of sources. 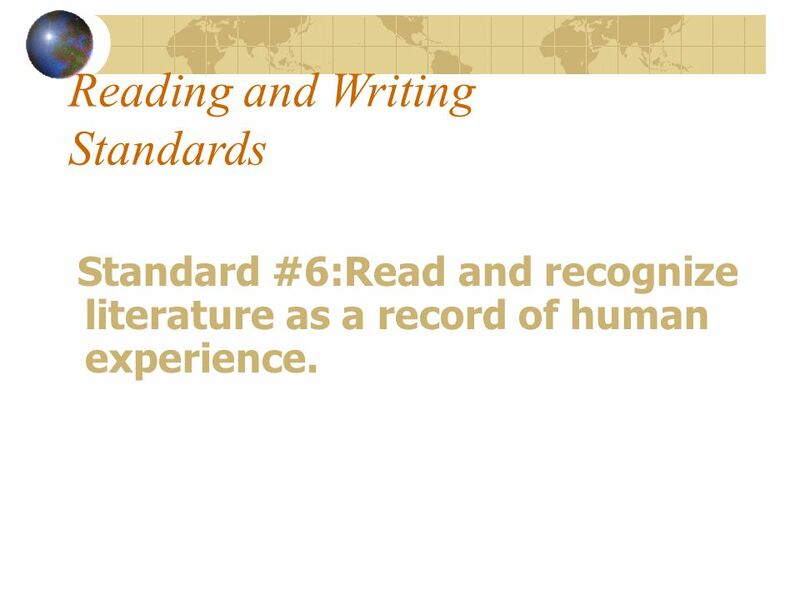 26 Reading and Writing Standards Standard #6:Read and recognize literature as a record of human experience. 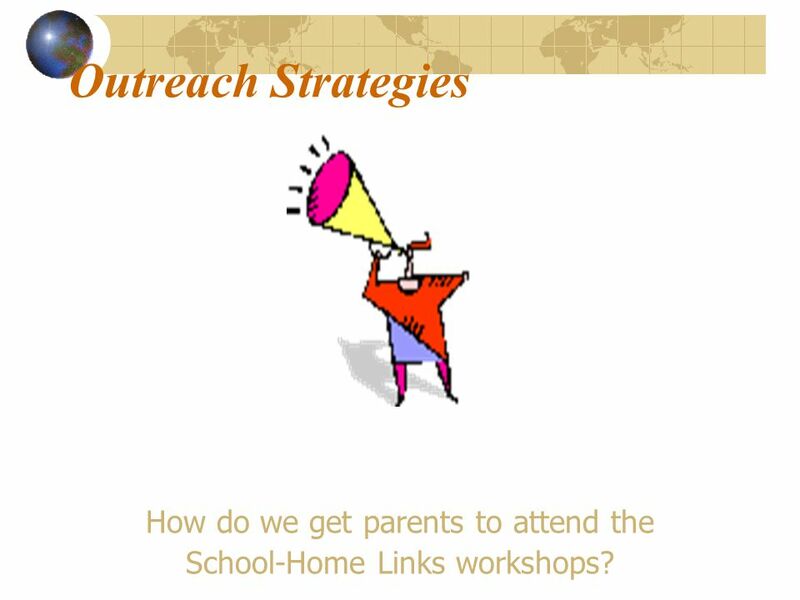 28 Outreach Strategies How do we get parents to attend the School-Home Links workshops? 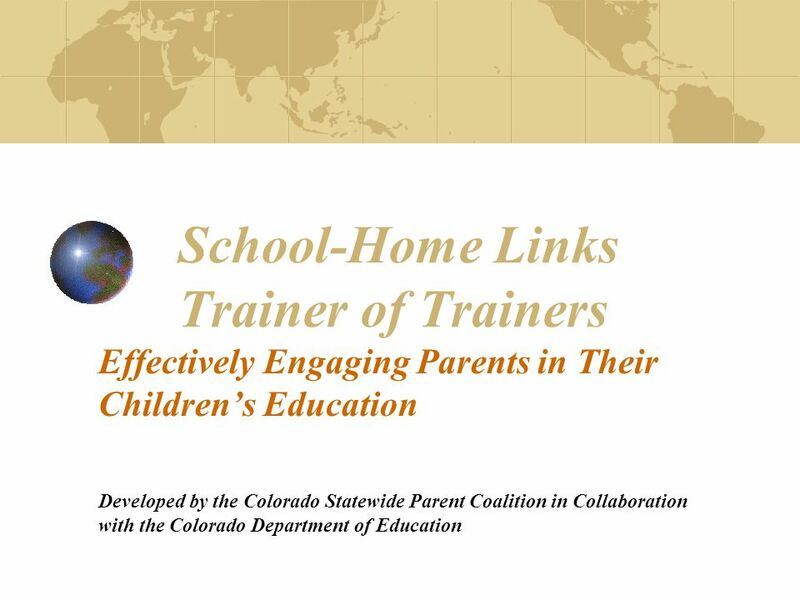 Download ppt "School-Home Links Trainer of Trainers Effectively Engaging Parents in Their Children’s Education Developed by the Colorado Statewide Parent Coalition in." 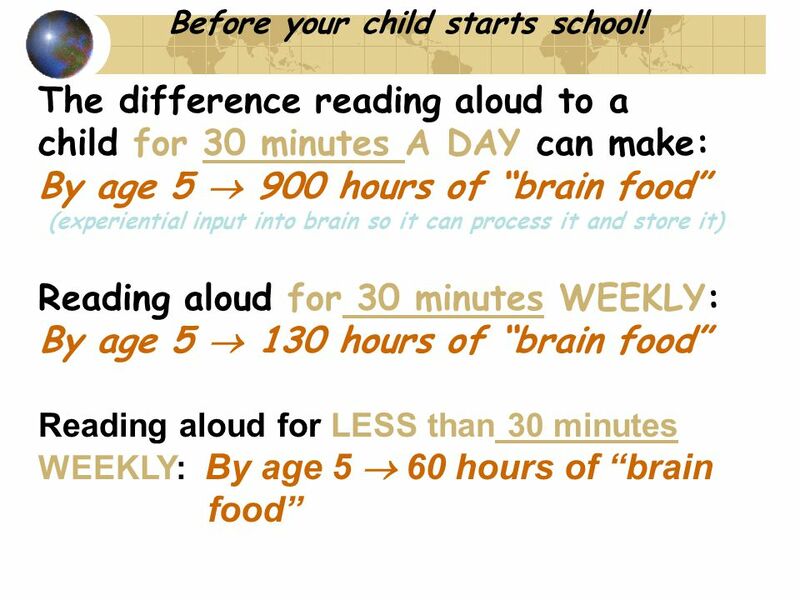 H OW TO A CHIEVE S UCCESS IN I MMERSION Helping Your Child Learn in a Foreign Language Instruction Setting H OW TO A CHIEVE S UCCESS IN I MMERSION Helping. Informational Parent Meeting Cedar Hill School October 22, 2013. 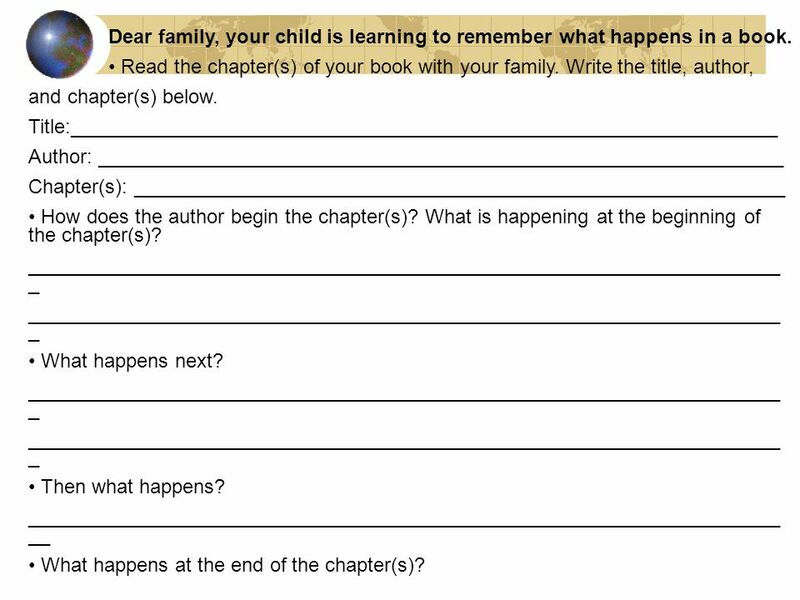 Lower Primary ( Prep – Year 3). 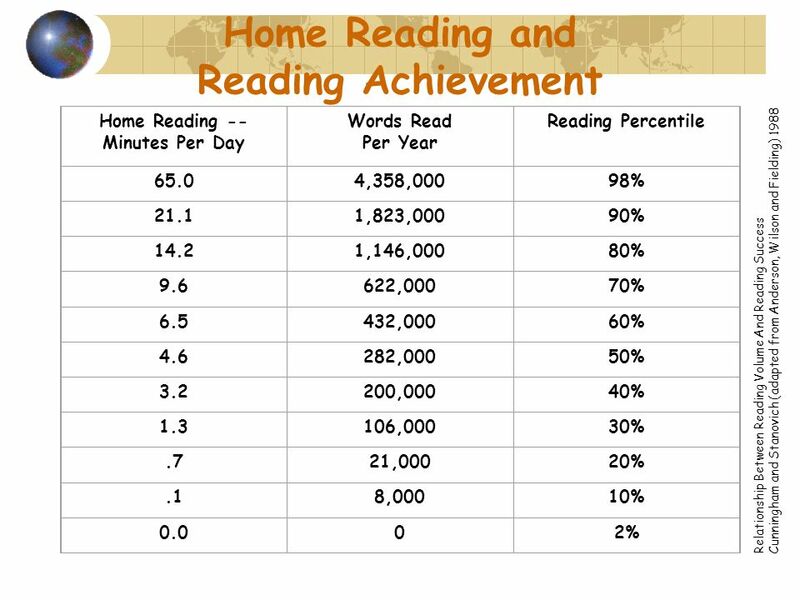  3 year journey across the lower years (each child will develop at different rates)  The most important goal is to build. 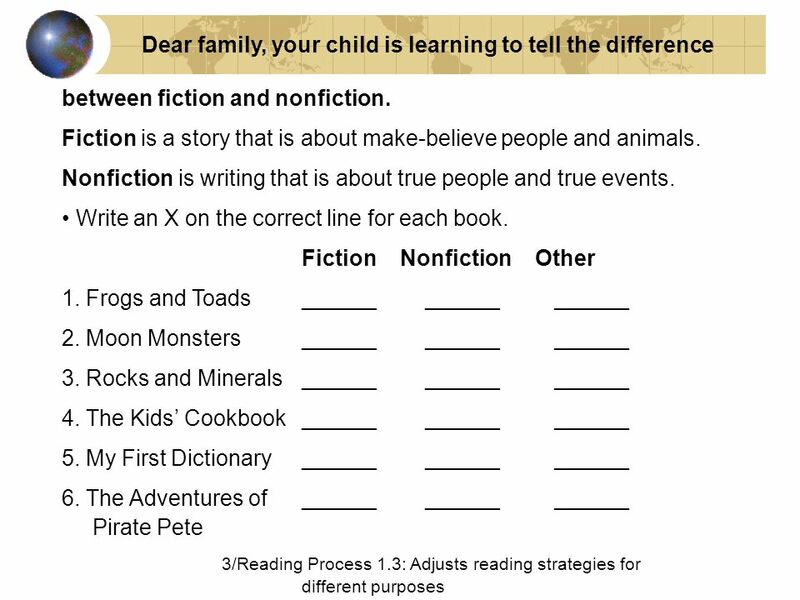 Helping Families Understand What Is Happening In the Classroom The more a program or event at school is designed to improve student achievement, the more. 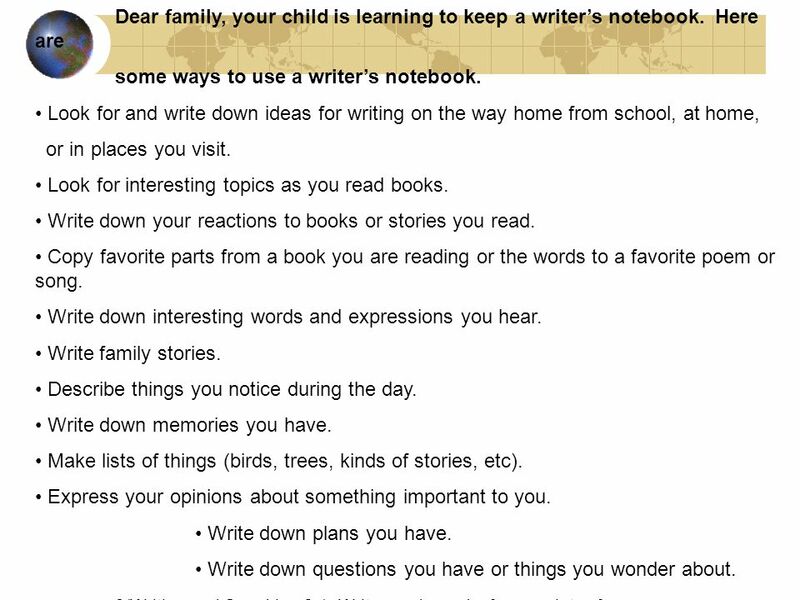 LITERACY IN PRIMARY/JUNIOR DIANE NEWMAN PROFESSIONAL DEVELOPMENT OECTA. 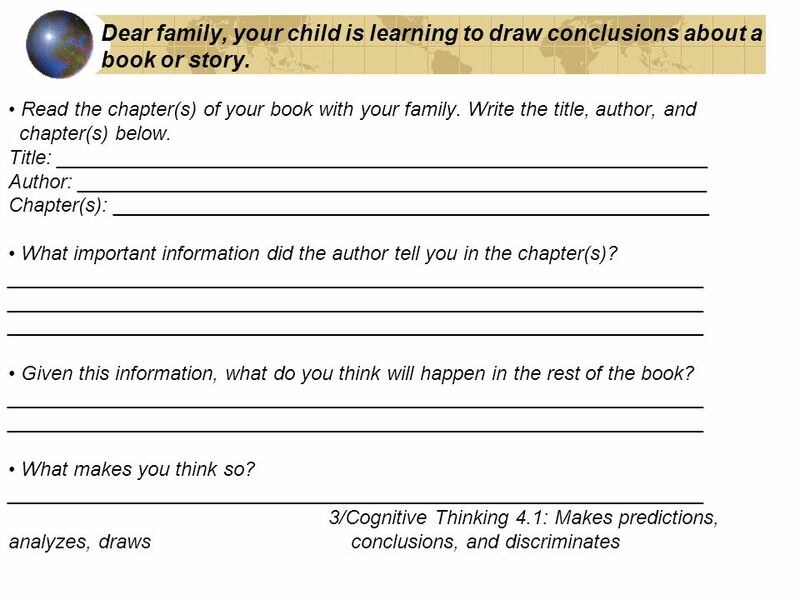 Chapter 5 Journal Writing Prepared by M.F. Cullen-Reavill. LITERACY (sorry) ENGLISH St Laurence’s 30 th September 2014. Start Let’s a r i o t s ur hing eading. 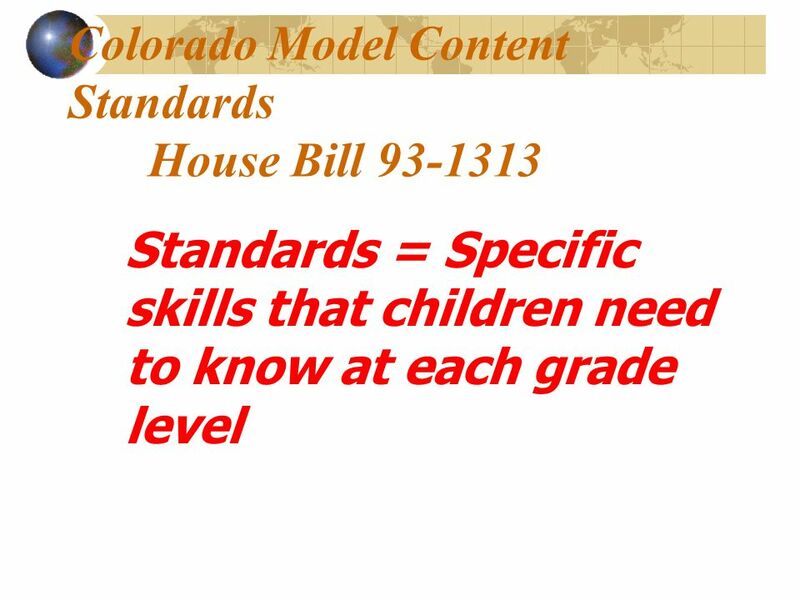 Introduction to Delaware’s New Standards and Assessments. 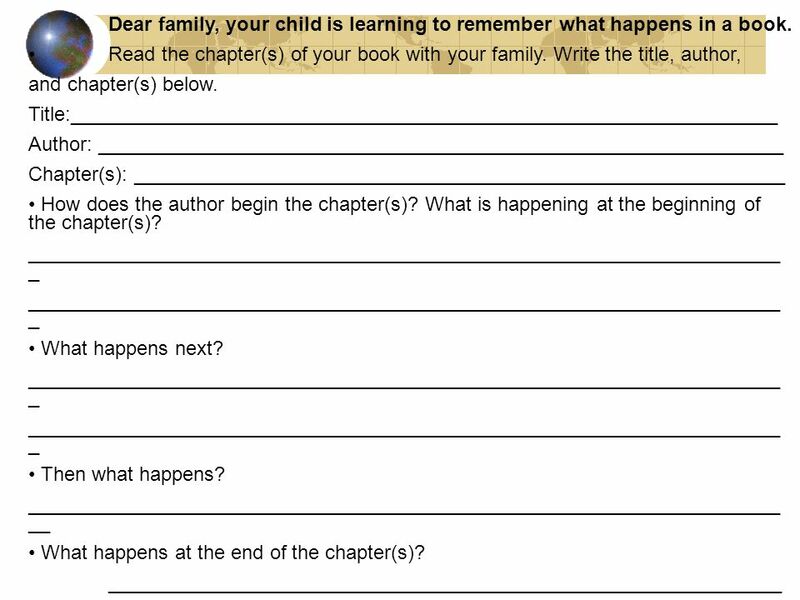 Key Stage 1 National Curriculum Assessments Information and Guidance on the Changes and Expectations for 2015/16.